Ditch your stock, chrome grilles and upgrade to these sleek looking BMW E92/E93 Gloss Black Kidney Grilles. 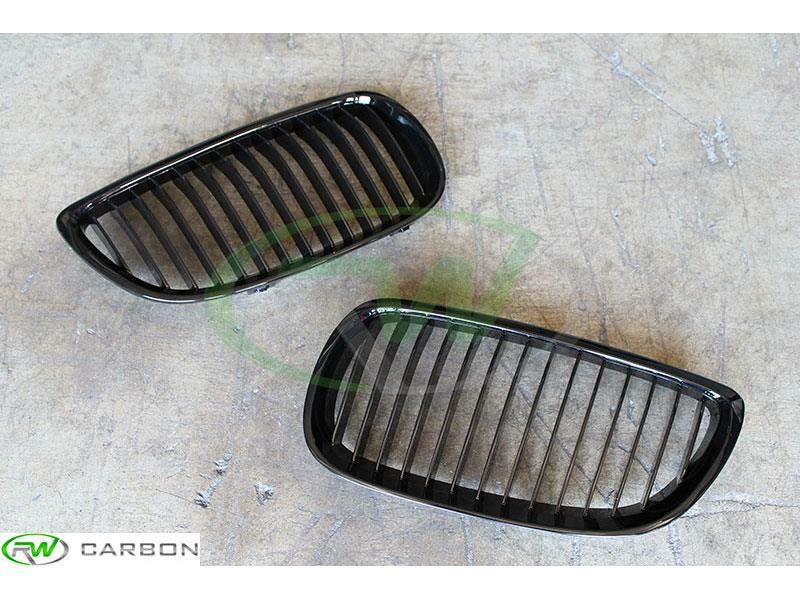 No longer do you have to settle for the factory grilles, or even matte black grilles - These gloss black grilles look much better. 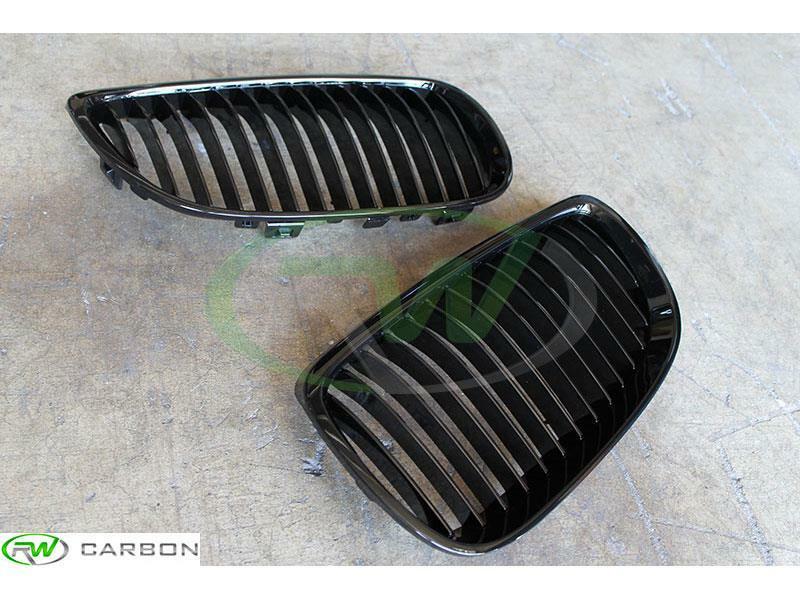 These grilles feature high quality ABS plastic construction that will not chip from road debris. 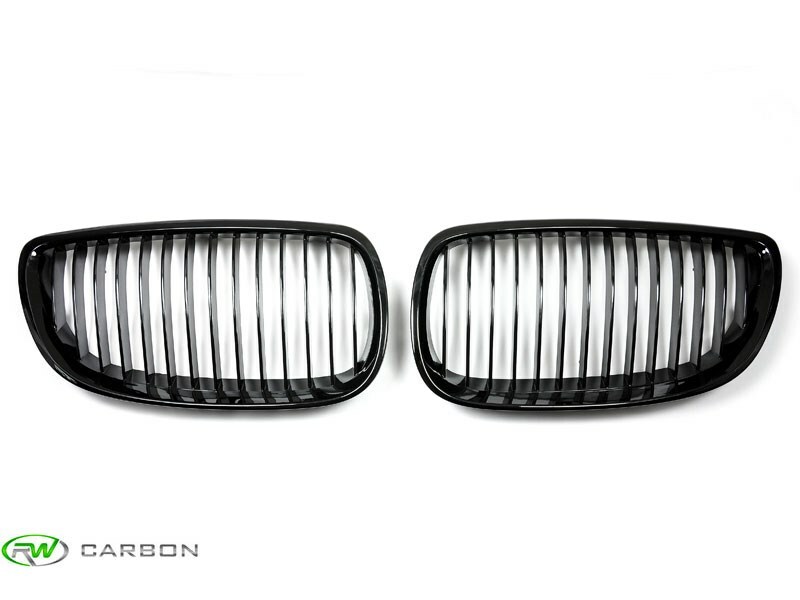 The BMW E92/E93 Gloss Black Kidney Grilles are 100% plug and play, and can be installed in minutes by any enthusiast. 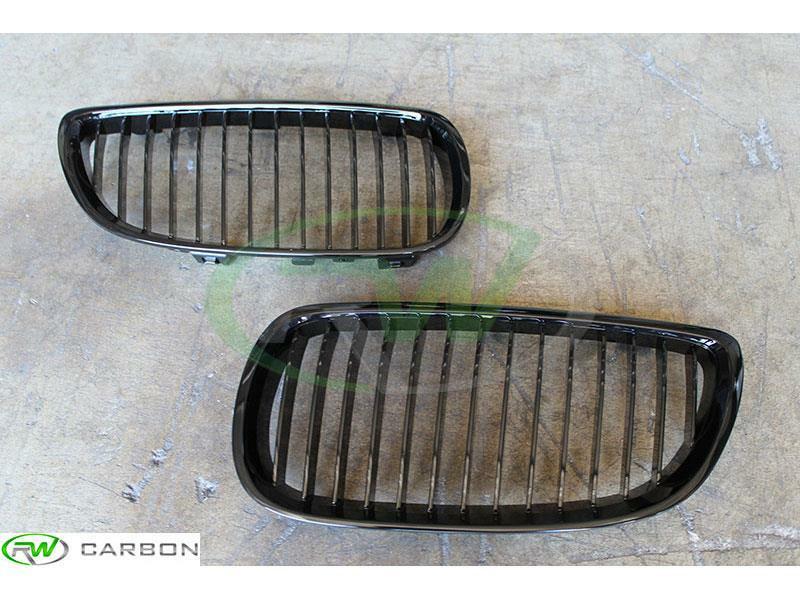 No matter if you're looking to finish the appearance of your E92/E93 3 Series or just get it started, these BMW E92 and E93 Gloss Black Grilles are a great choice. 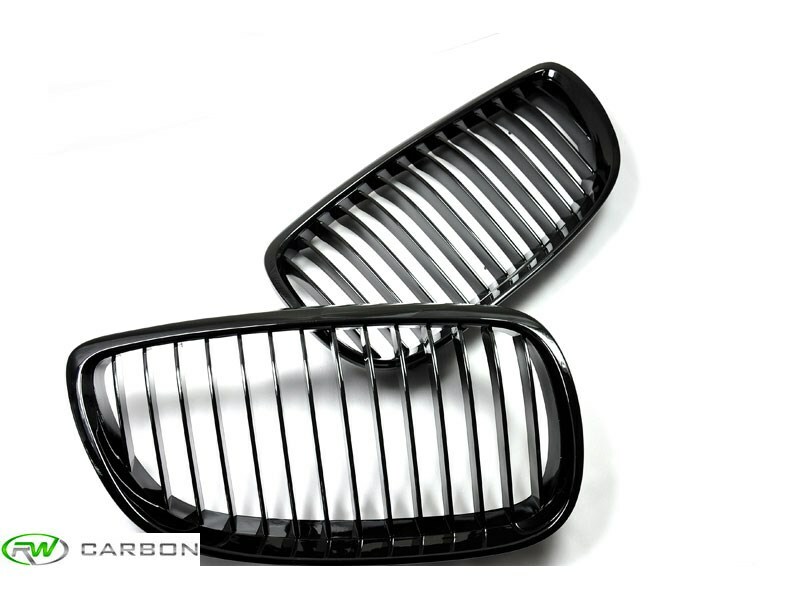 Get quick shipment and a product that arrives free of damage when you choose RW Carbon for your BMW E92 and E93 3 Series exterior needs. 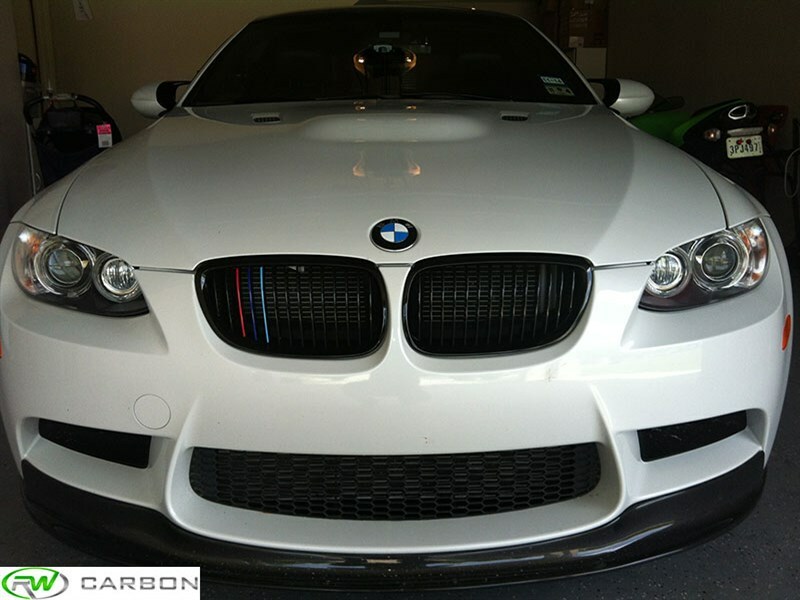 Installation for these BMW E92 and E93 3 Series Gloss Black Grilles can be completed by any enthusiast. 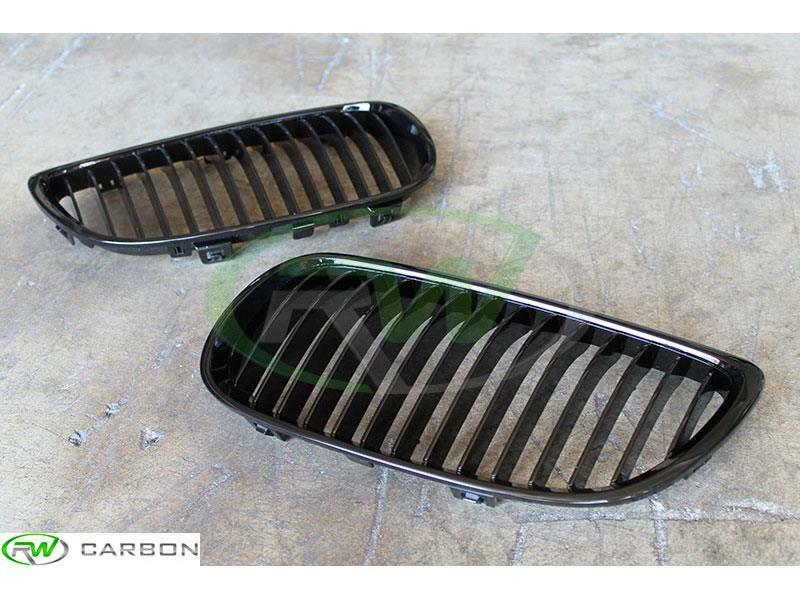 Access to the backside of the grilles is needed to remove the OEM grilles. Note: Does not include M strips. 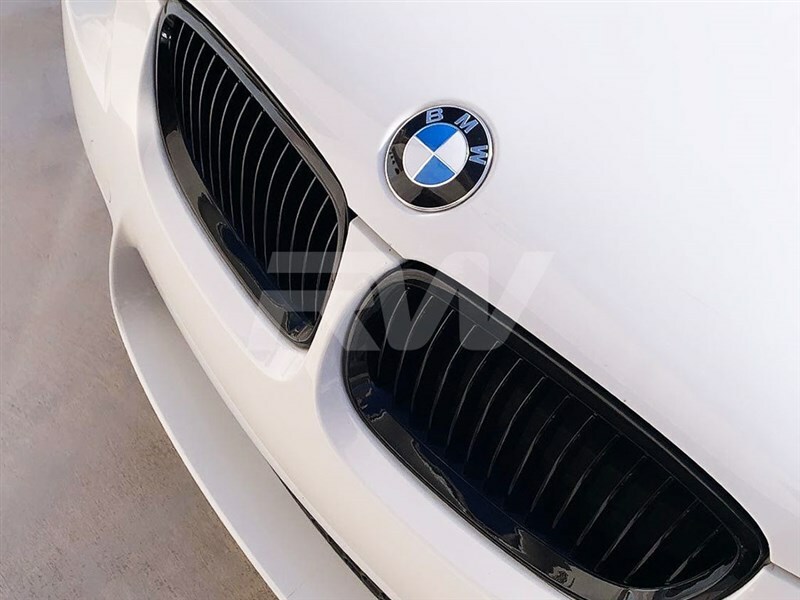 We are aware of the large amount of companies claiming to have the best gloss black grilles for your E92 or E93. At RW Carbon we take the time to quality control every single piece that ships from our warehouse. When you order from many companies online they are shipping a product straight from overseas that has not been quality controlled. If you order one of these parts you could receive a part that is damaged, has scratches, or overall poor fitment. 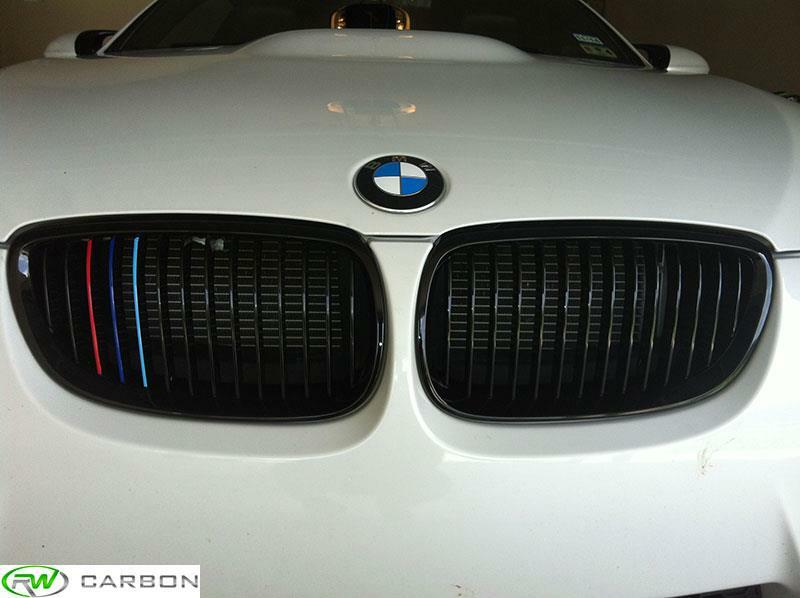 By choosing RW Carbon we make the promise to deliver you a consistent, quality set of grilles that is shipped from our Southern California location. Additionally, all products shipping from our warehouse are meticulously inspected, and packaged to ensure you receive the best possible carbon fiber item for your BMW.